Hugh was a reporter and then a teacher before he discovered the fulfilment of being a hypnotherapist. 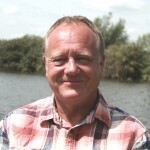 He’s had a hypnotherapy practice at Stratford St Mary, on the Essex/Suffolk border, for more than 20 years now, and is happily making a living entirely from that. Hugh is a major support to newly qualified Atkinson-Ball therapists, sharing the benefit of his skills and experience. 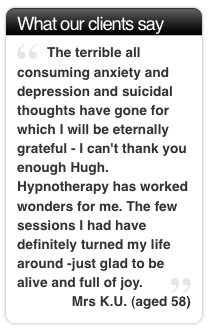 “While I think most people get into hypnotherapy through having hypnotherapy and realising its value, my route was a little different,” says Hugh. “In a ‘previous life’ as a trainee reporter, I met a hypnotist. This kindled the idea in me as to how powerful hypnosis/hypnotherapy could be for therapy. I never forgot that experience, and, although my work took me in different directions for a number of years, there simply came a time when I decided I had to find out more about it, and how I could use it to help people who may have issues that needed sorting in their lives. What other training or life experience helps you in being a hypnotherapist? What do you enjoy about being a hypnotherapist? What else would you like to say about hypnotherapy? “How much time do you have? Hypnotherapy done properly is a fast, effective, psychotherapeutic method for change. Its real strength is that it works at the level of our very primitive, super powerful subconscious minds, where our emotional difficulties are buried, but still driving our feelings, habits and behaviours outside of our conscious awareness. Other talking therapies work at the much weaker level of the logical, more developmentally modern, conscious mind. Conscious effort cannot compete with the emotional power established – often in the first seven years of life, but perhaps by later trauma – at the level of the subconscious. So, while conscious will power can often lead to positive change in the short term, it is not nearly as effective as hypnotherapy in creating change that will last – at the level of beliefs, feelings, indeed the maximisation of our unconscious resources. “After a couple of false starts I was really lucky to be introduced to the Atkinson-Ball College of Hypnotherapy and Hypnohealing in 1994. 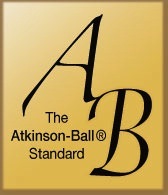 The Atkinson-Ball way prides itself on fast, ‘no-nonsense’ therapy. 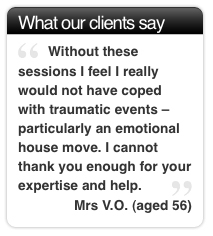 We like the clients in and out of therapy and on their way in life as soon as possible. Based on the model of Dave Elman – a stage hypnotist originally – the ability to get to the root of the problem can be ‘pinpoint’; meaning that there is no need to get involved with ‘red herrings’ that might not be relevant to the client’s well being. “I followed my Atkinson-Ball training with the privilege of working with the founder of NLP, Richard Bandler. While not wishing to go into too much detail here NLP can be broadly described as ‘strategies for excellence’. I see my work as being primarily and essentially based on Atkinson-Ball hypnotherapy techniques combined with NLP strategies, as and when appropriate. I believe it to be a highly effective combination. I have delved into other methods of working as I believe anyone wishing to develop should, but have not found anything as effective as the above to help clients achieve the results they want for themselves. What disadvantages are there to being a hypnotherapist? “For me – none. It is my way of life. I don’t see retirement as an option. I would be bereft. As long as I have health, it has to be part of my life. Of course, it is not for everyone. It is a ‘helping people’ profession. You have to be at ease with people and to be able to gain rapport. It can be tiring – what meaningful occupation isn’t when done with passion – but I have never felt ‘burn out’. I believe this is because, in the main, you generally see positive results, comparatively quickly, and that feels good. If I did not feel hypnotherapy yielded positive results I would soon look elsewhere. The Corporation that encompasses hypnotherapists trained through the Atkinson-Ball College – The Corporation of Advanced Hypnotherapy – sees itself as a ‘family’ and support is there for every therapist who might need it at any time. “People ask can you make enough to live on through hypnotherapy. Well, you are never likely to be a millionaire. Sometimes it can be safer to try and align your work with another means of income to make ends meet. I originally combined hypnotherapy with part-time teaching, but now make a satisfactory living through hypnotherapy alone. Indeed, I have more work than I can immediately cope with. I tend to think of my clients first, and have found that the money generally takes care of itself. Has hypnotherapy changed you in any way? What have you learnt from your clients? Would you want to do anything else? What would you say to anyone becoming a hypnotherapist? Hugh Clover is based at Stratford St Mary just off the A12 between Ipswich and Colchester. He is Director of Studies and a Regional Supervisor for the Atkinson-Ball College. To find out about training to be a hypnotherapist, contact Hugh or check out the Atkinson-Ball College website via the link in the sidebar to the right.